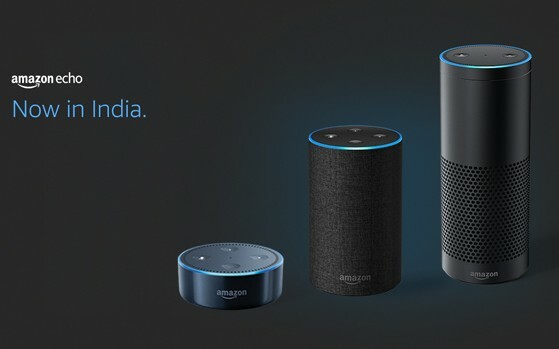 Amazon has announced that the sales of the Echo devices are now open for everyone in India. The announcement clearly means that the Echo devices can be purchased online through Amazon’s official website and offline through 350 retail outlets in 20 cities across India like Croma, Reliance, Vijay Sales, Crossword and more. Back in October 2017, Amazon had launched its first Echo series in India but the device was only available on an invite basis. During these four months, the company has made Alexa better in terms of responses and accuracy. The Amazon Echo series includes Echo Dot, Echo, and Echo Plus. During the initial period, the devices were only available through invite basis — the customer was only able to buy a device when invited by an existing user. Amazon Echo devices are the voice-controlled speakers (smart home speakers) which help users to book a cab, check the weather, play music, turn the lights on and off and also call your friends and family and many other features just with voice command. The Echo devices come with far-field voice control technology, which can be easily set up by using the Alexa app available with Android and iOS smartphones. Alexa in India has improved a lot to cope up with Indian voices and requirements. The company has also introduced an all-new feature called Alexa-to-Alexa voice call which was not there previously. Now, the users can call their friends and family with the help of their smart speakers. Amazon Echo is available in three variants — Echo Dot comes with a price tag of Rs 4,499 and the Echo and Echo Plus will cost Rs 9,999 and Rs 14,999, respectively. Be the first to comment on "Now Amazon Echo is available to all customers invite-free in India"